In a meeting with thousands of people from Esfahan held at Imam Khomeini (ra) Husseiniyeh this morning, Novemnber 16, 2016, the Leader of the Revolution, Ayatollah Khamenei, stated that:I do not have any comments on the outcome of the presidential election in the U.S. Anyone coming from either of these two parties is pure evil." Regarding the hostility practiced by various U.S. presidents against the Iranian nation, His Eminence held: “One imposed sanctions, another shot down a passenger airliner and one attacked our oil platforms. We are not concerned and we are prepared to combat any possible incident. Across the world, some people mounred and some celebrated it. We neither mourn nor celebrate [the outcome of U.S. elections]; we concentrate on how to move our country out of possible problems. Ayatollah Khamenei stressed that the Islamic Republic of Iran has always witnessed hostility from both popular U.S. party sides, adding that: “Today the most significant needs of the country, particularly, for the elites and the authorities, are political insight, staying vigilant against enemy plots, and preserving the revolutionary spirit, direction, taking measure, and action in the arena of Economy of Resistance, continuing the rapid scientific growth, national unity and harmony, as well as maintaining an internal and spiritual strength. 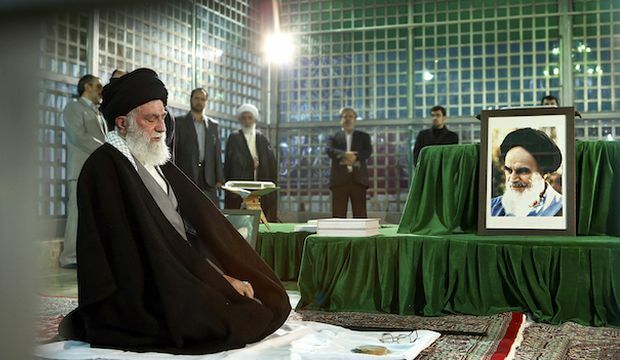 During this meeting, which was held on the anniversary of a mass funeral organized in Esfahan for the 370 martyrs of Muharram Operation of November 16, 1982, Ayatollah Khamenei said: "Persevering the principles of the Islamic Revolution is among the very important necessities today and the principles of the Revolution are the fundamentals and indexes expounded by Imam Khomeini (ra) on his last will and testament." His Eminence further added: “The enemy has targeted the economy, because they think it's the country’s weak point; and this is why measures and action of the Economy of Resistance have been stressed; hence, authorities must demonstrate, before the eyes of the nation, the measures and actions and the implications of it. The Leader of the Islamic Revolution pointed to the issues brought up during the U.S. presidential campaigns regarding failures, poverty and massive problems in the United States stating: "The U.S. has spent its nation’s money on devious wars, which have brought nothing but the massacre of thousands of civilians and the obliteration of infrastructures in Afghanistan, Iraq, Libya, Syria and Yemen." Ayatollah Khamenei put emphasis on the fact that the realities, tapped into during election campaigns, in the U.S., have been brought up repeatedly over the past years, but some were unwilling to accept it, holding that: "insight means that you know who you are dealing with and how they think about you; and if you close your eyes towards that you will certainly get struck with a blow. His Eminence stressed that political and non-political elites are expected to have such insight, asserting: "fortunately typical people do have such insight, but it is a surprise how some elites rely on illusions; hence, they lack such insight. The Leader of the Revolution finally touched upon the Arbaeen Walk, dubbing it as an invaluable investment adding: "This great million-man walk between Najaf and Karbala, this enthusiasm, affection and movement-- even if accompanied by dangers—is always alive in the hearts of our people; this treasure should be preserved, as it guarantees the survival of our country." Hujjatul-Islam Ammar Al-Hakim, the Head of Iraq's Shiite National Alliance, and key members of the alliance met with the honorable Ayatollah Khamenei, the Leader of the Islamic Revolution, this morning, December 11, 2016. In this meeting, Ayatollah Khamenei expressed contentment over the formation of an alliance among Iraqi Shiite groups, termed it as a crucial incident and stressed on the necessity of preserving and consolidating the columns of this unity, welcoming and embracing all [political] currents, ethnic and religious groups in Iraq. On the issue of distrusting the United States, Ayatollah Khamenei pointed out, “Despite their pretentious claims, they are not after eradication of the takfiri terrorists at all; in fact, they try to use these terrorists for their own future goals. Men and women in some cases are equal and in others different. Great words by the leader. Leader says Iran must develop economically. How sayed Ali al Khamenei(ha) was appointed as waleeh al faqeeh click on CC for english subtitles. Beautiful we inshallah will go to that valley with Sayed Khamenei(ha). I'll do my best. watching nasheeds like this and looking at pictures of your marja will help you gain a spiritual connection with them. Dear ones! You cannot learn but from your own experience or listening to the experiences of others. Many of what we have seen and experimented, your generation has not experienced and seen yet. We have seen and you will see. The decades ahead are your decades, and it is you who should protect your revolution while you are qualified and full of motivation, and move it closer to its great ideal: that is, the emergence of a new Islamic civilization and the preparation for the rising of the great sun of wilayat (may our souls be sacrificed for him) [Imam Mahdi ((عليه السلام).)]. To take steady steps in the future, we need to develop a good knowledge of the past and learn from the experiences. If this strategy is neglected, lies will replace the truth, and the future will be menaced by unknown threats. The adversaries of the revolution are strongly motivated in their efforts to spread distortions and lies about the past and even the present, exploiting money and all the necessary tools for it. The bandits of thought, creed and awareness are ample; the truth cannot be heard from the enemy and its troops. In spite of all these onerous problems, the Islamic Republic took greater and stronger steps day after day. 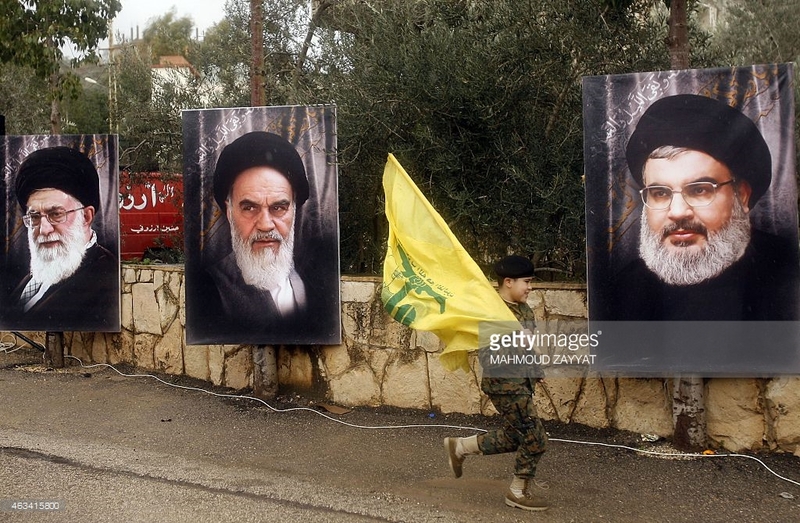 The past 40 years exhibited great jihads, brilliant achievements and amazing advances for Islamic Iran. The magnitude of the progress made by the Iranian nation in the last forty years is well-recognized when compared to similar spans following other major revolutions such as the French Revolution, the October Revolution of the Soviet Union and the Indian Revolution. The jihadi management strategies inspired by Islamic faith and the belief in the principle of "we can do it"—that Imam Khomeini ((رضي الله عنه).) had taught us all—assisted Iran in its achievement of dignity and progress on various areas. The Islamic Republic has been one of the world's most successful governments in relocating its services and wealth from the center to all parts of the country, and from the affluent areas of the cities to the poor neighborhoods. The great statistics on building roads and housing construction; the establishment of industrial centers; the reformation of agricultural matters; distribution of electricity, water as well as building medical centers, universities, dams, and power plants and the like even to the most remote areas of the country, truly makes us proud. Certainly, all these efforts were neither reflected in the inefficient propagations of the officials of the Islamic Republic nor did the foreign and domestic malevolent enemies confess it. Yet, it is there and remains as good deeds of jihadi, sincere managers before God and for the sake of the people. Nevertheless, the notion of justice as expected by the Islamic Republic—that seeks to follow the role model of the government founded by Imam Ali ((عليه السلام). )—is far superior to that, and I look forward to seeing you, the young people, realizing it. 4) Justice and fight against corruption: These two virtues necessitate each other. Economic, moral, and political corruption are like tumors in the body of countries and governments; if found in the body of a system of governance, they would constitute a devastating quake and a heavy blow to their legitimacy. And for an establishment like the Islamic Republic—that requires beyond the common legitimacy and social acceptance—, this is far more serious and fundamental than for any other systems. The temptations of wealth, power and rank weakened some, even in the most resembling of all governments to Imam Ali’s governance; I.e. Amir Al-Mu’minin’s own government. Thus, the hazard posed by the emergence of such a threat in the Islamic Republic—whose officials once competed each other in Revolutionary piety, and maintaining a simple lifestyle—has never been and still is not far from probable. This makes the constant presence of an efficient organization, with sharp eyes and decisive actions within the three branches of powers (executive, legislature, judiciary) necessary, in order to truly fight corruption, especially in governmental bodies. Peace be upon our Imam Mahdi ((عليه السلام). )—may our souls be sacrificed for him—; peace be upon the pure souls of the honorable martyrs and the pure soul of Imam Khomeini ((رضي الله عنه). ), and peace be upon all the dear people of Iran and special greetings be to the young Iranians.